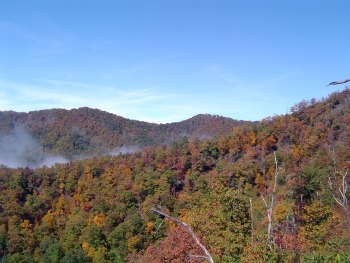 Heading to the Smokies? Deep Creek is a great place to check out. If you like waterfalls, you'll love the easy hike to all 3 of Deep Creek's waterfalls. However, the best hike is to Lonesome Pine Overlook on Noland Divide Trail. 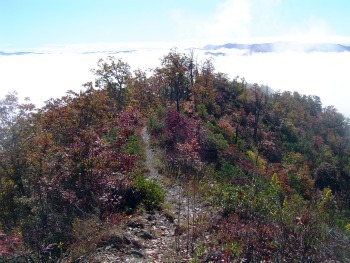 Starting from Deep Creek, you'll only have to hike 3.5 miles to get to the best part of the 11.6 mile trail. The trailhead starts at the horse parking area. It's an uphill climb to Lonesome Pine Overlook, but not overly steep. 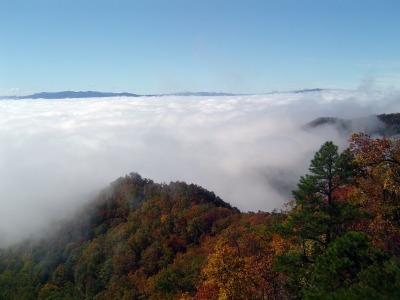 When you get to Lonesome Pine Overlook, you won't see a sign, but you'll know it when you get there. There's a large rock to take a rest and enjoy the views. The trail opens up on both sides to reveal incredible views. I've hiked this trail in spring and fall and both times offer amazing scenery. I know you'll love it too. Don't forget to bring your camera, so you can show everyone back home what you saw. They'll want to come next time!